As part of the John Paul II awards Daniel Ryan, Ellio Bonelli & Christopher Geraghty headed to Clonliffe College with Fr. Enda Brady PP Cashel & Rosegreen to participate in the Dublin Archdiocese Faith Festival. Fr. 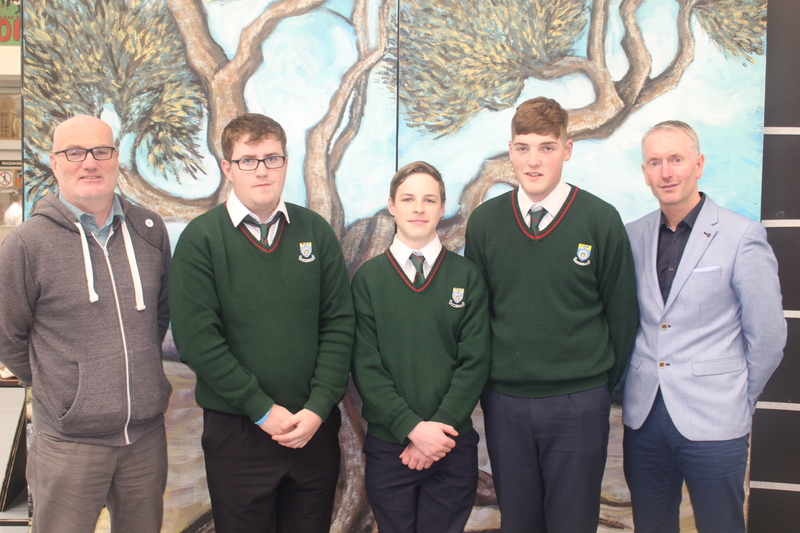 Enda Brady PP Cashel & Rosegreen, Daniel Ryan, Ellio Bonelli, Christopher Geraghty & Mr. John Gallagher (Principal).